Early departure to Queretaro, 211km from Mexico City. Capital of the state of Queretaro and of major importance during the Independence war. City visit followed by a 1 hour drive to San Miguel de Allende. Explore this colonial city with its beautiful mansions and it’s symbol: the Gothic style cathedral. Accommodation at the hotel Real de Minas or similar. Morning departure to Dolores Hidalgo and proceed to Guanajuato, an hour drive away, and city visit. Admire the Basilica; the University; the picturesque, historic centre with its narrow colonial roads; the underground streets (former riverbeds); the famous Callejón del Beso (The Alley of the Kiss) and enjoy a panoramic view from the El Pipila monument. Arrival and accommodation at the hotel México Plaza or similar. Depart for Zacatecas. Arrival and visit of the historical centre and the Cathedral, one of the pearls of Mexican baroque architecture, built in rose stone during the XVIII century. Visit the Plaza de Las Armas; the Cerro de la Bufa hill offering a fantastic panoramic view of the city; and the Mine of Edén. Accommodation at the hotel Emporio or similar. 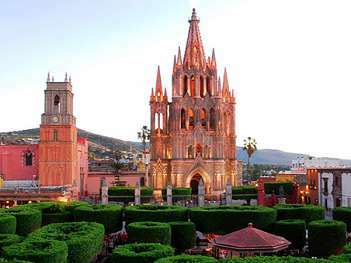 In the morning enjoy a scenic 4 hour drive to Guadalajara, named for its beauty “The Pearl of the Occident”. 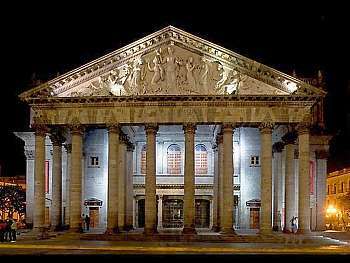 Arrival and visit of the historical center: the Teatro Degollado; the Palacio de Gobierno and the Cathedral. Accommodation at the hotel Morales or similar. 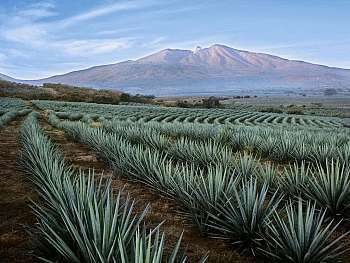 Departure to the “Tequila” region, home of the ancient and famous Mexican alcoholic drink. At the Tequila village enjoy a demonstration of the whole manufacturing process in one of the best Tequila distilleries. Accommodation. 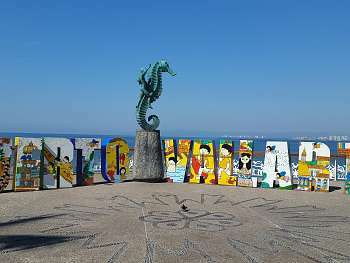 Transfer to Puerto Vallarta International Airport and farewell to your Mexico trip.